Heading back to reality after the holidays can be a bit of a drag, but one thing that’s perking up our January outlook is a host of ambitious new restaurant openings on the horizon — as well as some recent newcomers that opened their doors at the end of 2018. This month is packed with big debuts, including the first restaurant in Asia from acclaimed British chef Simon Rogan, a sophisticated Greek diner brought to us by the same group as Ichu Peru, and a new international joint venture from two ramen champions. For those who are on New Year’s diets, this month’s mix also brings plenty of vegetarian-friendly eats, from tofu pâté-topped portobello mushroom burgers to vegetarian bento boxes in ifc mall’s newest gourmet sanctuary. Without further ado, here are the restaurants making first impressions on 2019’s dining scene. 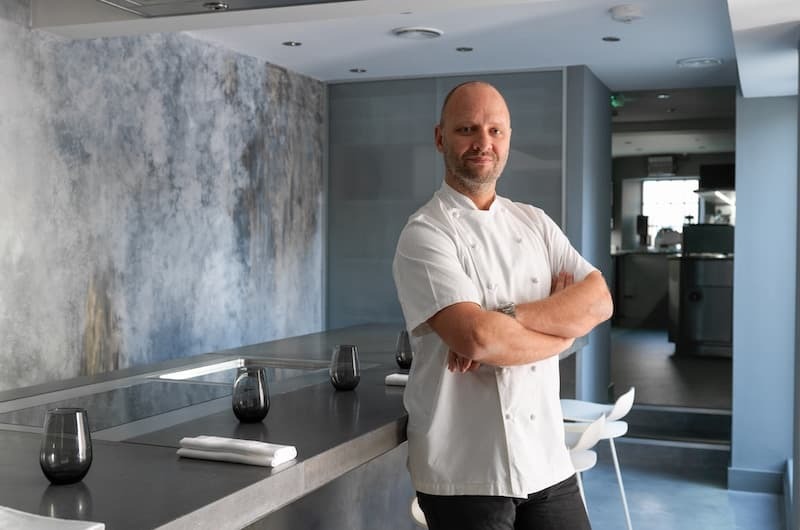 Leading British chef Simon Rogan is set to open two restaurants in Causeway Bay this year, both modelled off his successful restaurants in London and England’s Lake District. Aulis Hong Kong is Rogan’s chef’s table and development kitchen concept, opening this month; there will also be farm-to-table concept Roganic Hong Kong, opening within the same shared space in February. The 12-seater Aulis Hong Kong is Rogan’s first overseas concept, following the successful launches of Aulis Cartmel within Rogan’s two-Michelin-starred L’Enclume in London in 2016, and the standalone Aulis London in 2018. In addition to acting as a development kitchen for Rogan’s army of chefs to test out new dishes, Aulis comprises an intimate chef’s tasting table where guests can savour an 8–10 course tasting menu rooted in fresh seasonal produce, experimental techniques using advanced high-tech equipment, and imaginative flavour profiles. The ever-changing menu will be priced at HK$1,480 per person, with a wine and cocktail pairing for an additional HK$680 per person. 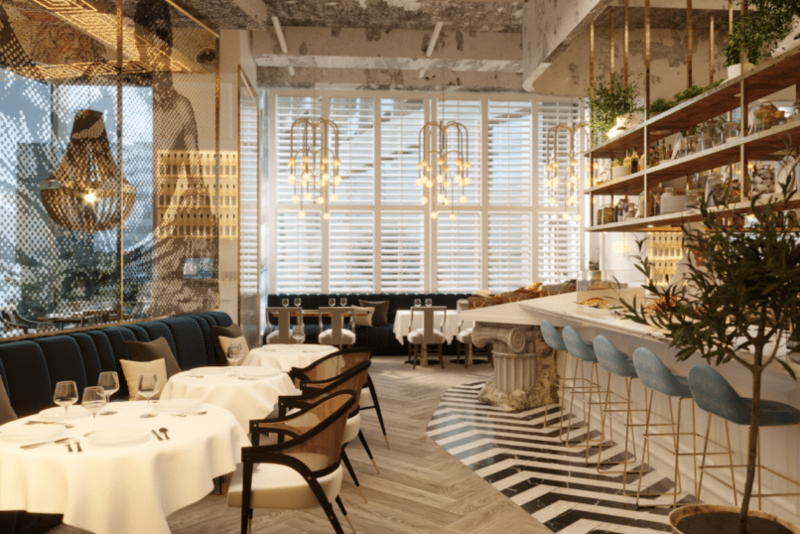 Following the success of Ichu Peru, the Bulldozer Group is debuting their second restaurant within the stylish H Queen’s this month, housed one floor beneath the Peruvian powerhouse. Estiatorio Keia turns its attention to the Greek Isles, dishing up fresh Mediterranean fare in a spacious dining room designed by the award-winning Sundukovy Sisters. The richly textured space is evocative of the same vibrant mix of materials and colours as Ichu, this time rooted in a sophisticated palette of stone and wood with brass finishes. While Hong Kong’s Greek canteens tend to be in the style of casual tavernas, Keia offers a more upscale spin on classic Greek food, with the luxe setting serving as an elegant backdrop to fresh seafood and raw dishes. The kitchen is managed by Executive Chef Drew Andrade, who previously sharpened his knives at Wolfgang Puck’s Spago in Los Angeles, before working alongside Ichu’s Virgilio Martinez at his Central flagship in Lima. The seafood-heavy menu kicks off with mezze (small plates like tzatziki and saganaki cheese with ouzo and pear) and raw options including fresh sashimi and Greek-style ceviche. Main proteins include whole roasted lobster and Mikrolimano-style shrimp, as well as whole-roasted chicken, rack of lamb and filet mignon rounding out the meats. Cap off your meal with a selection of Greek wine and local desserts such as braided brioche bread and Loukoumades, or Greek-style honey donuts. Keia will be open daily for lunch (12–3pm) and dinner (6–11pm). 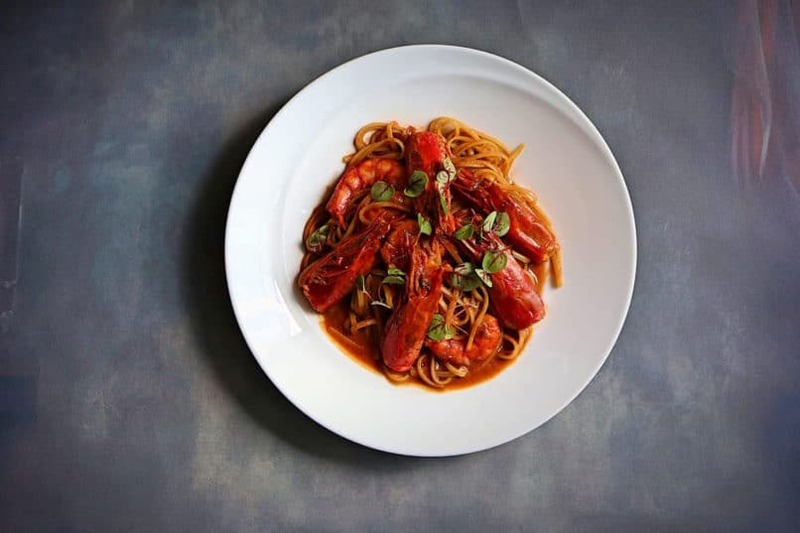 Bringing a breath of fresh air to Hong Kong’s saturation of Italian, Spanish and Japanese restaurants is Hotal Colombo, newly opened in the heart of SoHo. 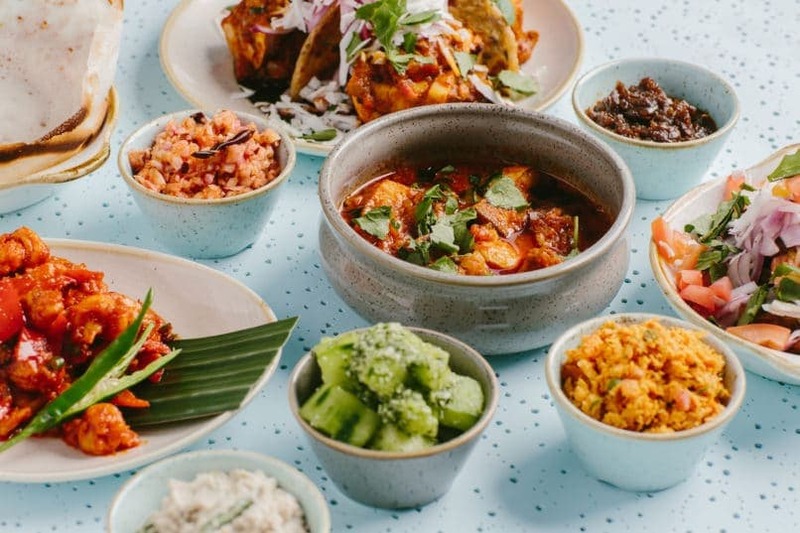 Championing the vibrant (and underrated) diversity of Sri Lankan culinary traditions, the millennial pink-splashed diner serves up cheery, sharing-style small plates and platters courtesy of Sri Lankan native Gisela Alesbrook. The casual canteen is inspired by the working-class eateries which populate the streets of Colombo, Sri Lanka, often referred to as hotals (the local pronunciation of “hotels”) for being a type of second home for locals to gather and unwind in the evenings. The flavour-packed menu includes everything from fragrant curries to meat and seafood platters and local snacks such as the masala dosa (lentil pancakes), all washed down with tropical-inspired cocktails. Spanish tapas are finding yet another home in Hong Kong at Pica Pica, opening this week in Sheung Wan. The latest from Epicurean Group, the kitchen here is led by Spanish chef Edgar Sanuy Barahona, who returns to the SAR after a successful run leading top restaurants around the city prior to his departure in 2016. 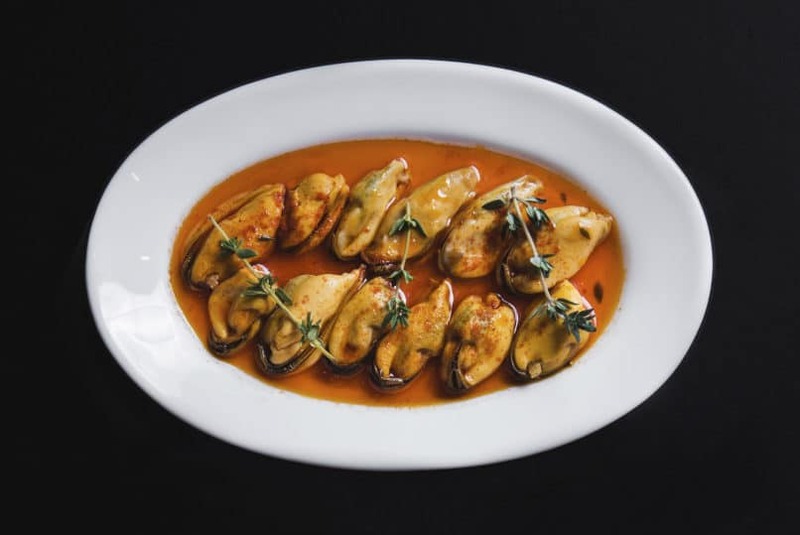 Now back to showcase his culinary chops once again, chef Barahona delivers a produce-driven menu celebrating the vitality and vibrancy of communal-style Spanish small plates. Highlights from the tapas menu include oysters with cherry gazpacho, raw red prawns with apple and pine nuts, squid and Iberico ham croquettes, and Wagyu beef steak tartar with green apple sorbet. In addition, the paellas are not to be missed — chef Barahona puts his own spin on the Spanish stable with “Fideuà” rice with cuttlefish and aioli, and the black paella rice stained with squid ink and dotted with plump ocean treasures. Derived from the Chinese character “舍” meaning a place of rest and tranquillity, the green-minded SHÈ offers a gourmet respite inside Lane Crawford, far away from the hustle and bustle of ifc mall. Step into the nature-inspired space — complete with an alfresco terrace overlooking Victoria Harbour — and tuck into refreshing takes on classical Chinese cuisine with a sustainable spin. Spurred by aesthetics and clean plating, the health-driven dishes showcase fresh, nutrient-rich and preservatives-free ingredients sourced from local suppliers. 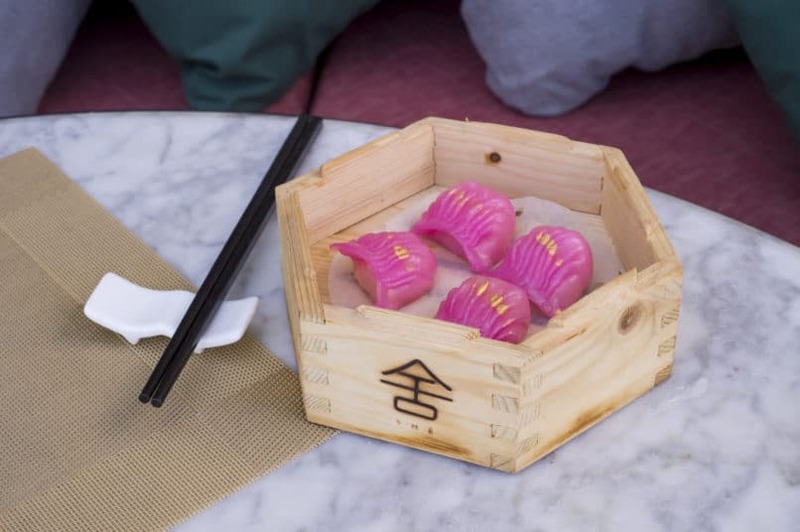 The home-style menu includes a special selection of vegetarian bites comprising selections such as veggie bento lunch boxes, purple potato lava buns, and the umami-packed truffle mushroom medley. Other specialties include assorted dim sum dishes, Chinese seafood, rice & noodles, and signature afternoon tea sets — capped off by the (almost) guilt-free “Teatails” made with premium teas and spirits. Haute cuisine gets a French-Japanese makeover at Le Bec Fin, spearheaded by the talented chef Nakao Kazuhisa, formerly executive chef for the Japanese ambassador in Hong Kong. Now in his first solo venture, the innovative chef is marrying European and Japanese ingredients and cooking techniques at his flagship in North Point, serving a meticulously crafted and aesthetically pleasing omakase tasting experience for haute cuisine lovers. The seasonal menu highlights treasured ingredients from both East and West — from Hokkaido sea urchins to succulent Spanish red king prawns — handled with skill in a menu that crosses culinary borders with ease and confidence. Expect to see everything from linguini with red prawns, to delicious Wagyu katsu sandos, beef sukiyaki and bone marrow toast, all paired with premium wines and sakes. Le Bec Fin offers a 2 to 4-course lunch menu or an 8-course dinner omakase. As far as food predictions for 2019 go, it’s safe to say that Hongkongers’ obsession with ramen shows no signs of slowing down. Adding fuel to the fire is Ramen Cubism, set to launch on 8 January in Central. The new international flagship brand from Japanese ramen champions Hayashi Takao and Matsumura Takahiro, Ramen Cubism is a joint collaboration with Bird Kingdom Group and is slated for imminent expansion to Macau and China in 2019. The restaurant follows from the success of Hayashi’s flagship ‘Original Ramen Style Hayashi’ eatery in Osaka, introducing the same unique soup bases including the aigamo ‘rice’ duck, a hybrid of wild and domestic duck; the prized, pesticide-free Danbo chicken broth; and kagome khumbu, a nutrient-rich, edible kelp harvested exclusively for Hayashi by a local artisan in Osaka. His partner, chef Matsumura, presides over eight noodle bars around Osaka, all bearing playful names such as ‘The Old Man’s Best Swing’ and ‘The Most Hopeful Ramen Bar in the World’. Matsumura’s renowned Sea Soy Soup ramen will feature on the menu at Ramen Cubism, with a fragrant soup base made with Japanese brand soy sauce and umami-rich bonito, topped off with succulent slices of char siu and medium-thick noodles. 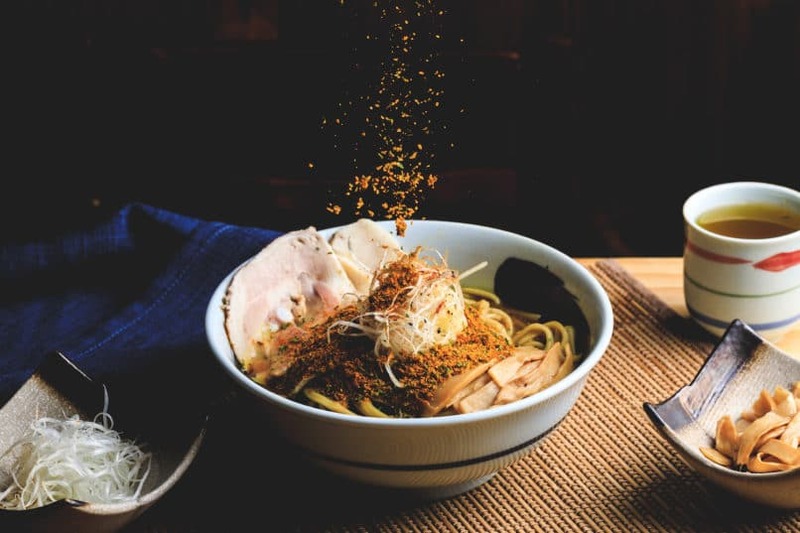 The low-key eatery also features new ramen creations created exclusively for Hong Kong, all priced at HK$88 per bowl and limited to 200 servings a day during the opening period. Top off your meal with the Hayashi dumplings and a selection of Japanese craft beers. Take note: Payment is accepted by cash, Octopus, Alipay and WeChat Pay only. 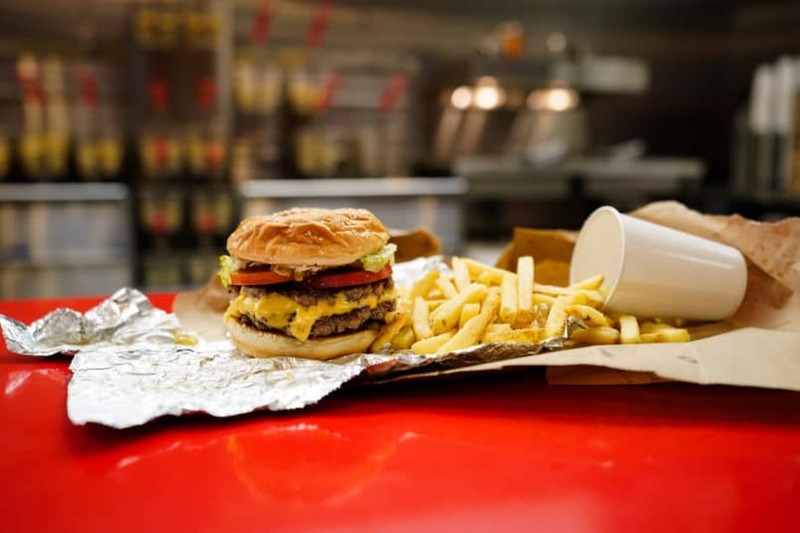 American burger joint Five Guys has finally touched down in Wan Chai, and is well on its way to battling Shake Shack for Hong Kong fast-food burger supremacy. The behemoth chain, founded in Virginia by the five Murrell brothers in 1986, now occupies a large diner-style space on the ground level of Wan Chai’s J Senses complex, complete with the chain’s iconic red-and-white checkered design aesthetic. Brave the queues for Five Guys’ signature down-and-dirty burger, two griddled patties (choose from hamburger, cheeseburger or bacon burger) loaded up with your choice of up to 15 toppings all stuffed between a squishy potato bun. The burgers come with a mountain of hand-cut fries and are best washed down with the creamy milkshakes featuring your choice of mix-ins. If the hefty burgers aren’t enough to derail you off your New Year’s diet, you can also dip into the hot dog menu (we’re partial to the Bacon Cheese Dog), grilled cheese or BLT sandwiches. Kowloon residents looking for a decent bowl of pho need look no further than Madam Saigon, recently opened in Tsim Sha Tsui. 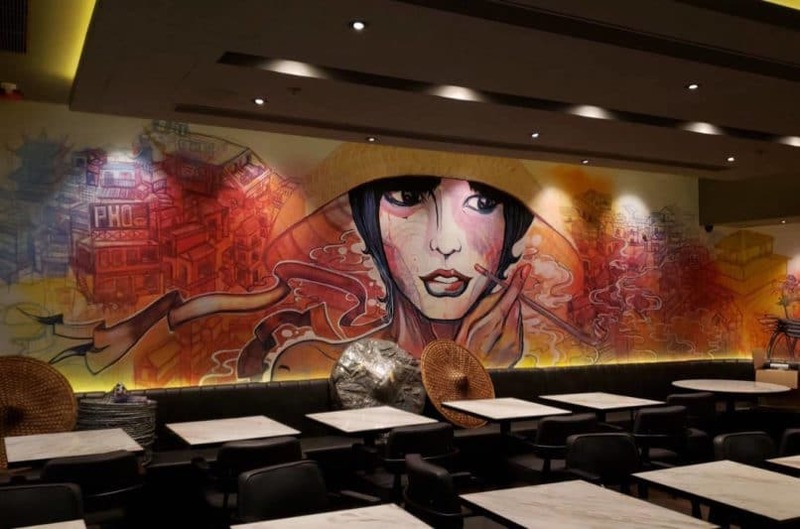 Elevating the fuss-free decor of traditional pho bars is a cool and contemporary eatery bedecked in graffiti-style murals, black furniture and a wall of colourful Vietnamese Non La rice hats. In addition to fragrant, soul-warming bowls of pho splayed with mounds of raw beef and fresh herbs — chef Ken Lam offers his contemporary take on other Vietnamese street food dishes, from spring rolls stuffed with fresh fruit and prawns, to steamed rice flan topped with minced pork and deep fried garlic. Despite the restaurant’s moniker, the menu veers towards other Southeast Asia cuisines: Think warming dishes including beef brisket and tendon curry, jumbo tiger prawn curry, and creative sides such as roasted pork knuckle and tom yum koong soup with king prawns. To pair, Madam Saigon offers an assortment of tropical cocktails, as well as Vietnamese-style coffee in collaboration with Blooms Roastery & Craft Tea. 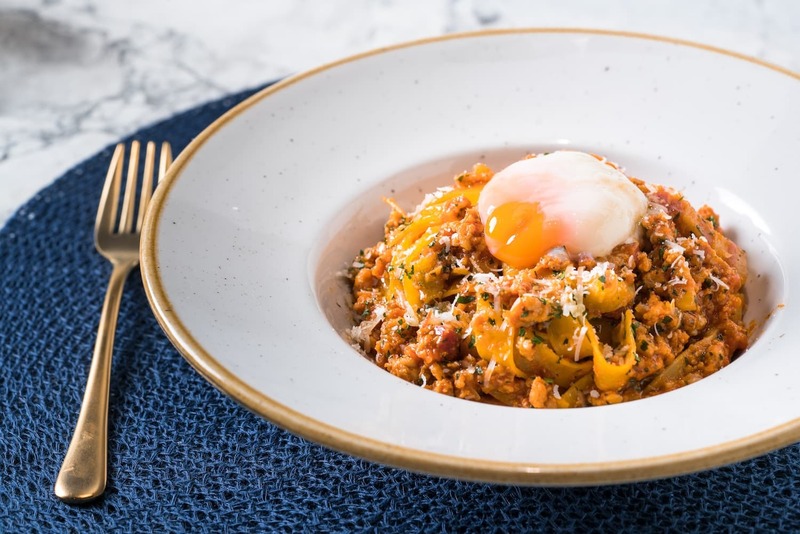 The latest restaurant from ZS Hospitality Group, AHA Restaurant & Bar dabbles in European and Mediterranean cuisine, serving up home-style dishes inside an eclectic, playful dining room. Aiming to be a social gathering space for good food, wine and conversation, the welcoming atmosphere is furthered by an open-air facade to attract passers-by, and a seamless flow between dining room and bar, indoors and outdoors spaces. Underneath the vaulted ceiling, the warm interiors are anchored by the central bar in the shape of a pipe organ with vintage stained glass mirrors, and over a dozen beehive-shaped pendant lamps hovering from the ceiling for a quirky touch. The eclectic menu embraces influences from East and West, with comfort fare being the overarching theme in bistro-style dishes such as jumbo lump crab cake, Mediterranean seafood stew and rotisserie French chicken. Herbivores are likewise well catered for with a large meatless selection, from the portobello mushroom burgers topped with a secret tofu pâté recipe and served with potato gratin; to the earthy and satisfying porcini and black truffle orzo. A semi-buffet set lunch is served from 12–2:30pm, with wallet-friendly prices starting at HK$158; bar snacks can be had from 3–6pm daily alongside a range of artisan spirits and rare whiskies.